After years of largely selling its mobile devices in the consumer segment, Samsung has now brought the Galaxy Note 8 Enterprise Edition as its latest offering designed to meet the requirements of the enterprise market. The new handset is touted to offer PC-class support to target enterprise and SMB markets and is available at a price of $994 (approximately Rs. 64,200) via authorised Samsung channel partners in the United States. Unlike the original Note 8, Samsung's Galaxy Note 8 Enterprise Edition comes with the promise of monthly security updates for up to three years. The South Korean company is also giving a purchase assurance that the same device model will be available for purchase up to two years from the date of its availability. This means that enterprise customers can offer consistent experience to their users without having to worry about the device going EOL at a later stage. In addition to promising longstanding security updates and maintaining continuity, the Galaxy Note 8 Enterprise Edition has Samsung Knox Configure and Samsung Enterprise Firmware Over the Air (E-FOTA). These two features will give IT teams the ability to remote configure the hardware and manage all the devices in their organisation through a centralised interface. Furthermore, the E-FOTA integration provides software version control and scheduled updates. "Modern enterprises are dealing with a conflict when it comes to their mobile strategies - a push and pull between what they require of IT to keep organisations secure and productive, and what their employees have come to expect when using mobile devices," said Eric McCarty, vice president of mobile B2B product marketing, Samsung Electronics America, in a statement. "We call this the IT paradox, and the Note 8 Enterprise Edition helps solve it by providing simple and comprehensive tools for IT to manage and secure their mobile environment while giving users a device they will love." In terms of specifications, the Galaxy Note 8 Enterprise Edition is identical to the 'regular' Note 8. The smartphone features an edge-to-edge, 6.3-inch Super AMOLED display with 1440 x 2960 pixels resolution and comes with an S Pen. Enterprise users can also leverage Samsung DeX capabilities to connect their Galaxy Note 8 with a desktop. 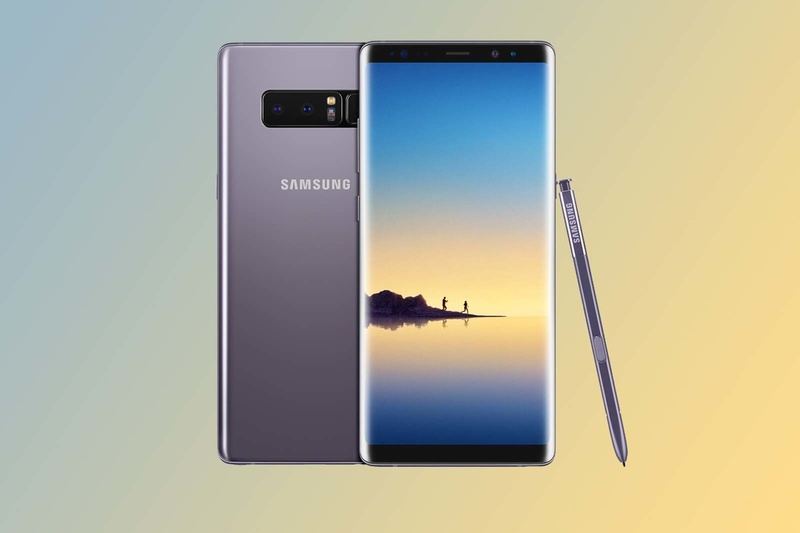 Samsung's latest attempt with the Galaxy Note 8 Enterprise Edition is not the first attempt by smartphone manufacturers to target the enterprise market. Ontario-based BlackBerry had widely adopted a similar approach in the past. Apple has also expanded its Device Enrollment Program (DEP) with the iOS 11 release to enable enterprises to deploy multiple iPhone and iPad devices. Moreover, the enterprise version of the Galaxy Note 8 emerges just at the time when Apple is preparing to ship the its ultra-premium iPhone X. The iPhone X comes with features like Face ID integration and a bezel-less, Super Retina display.